Hello! Today I am sharing 4 ways to incorporate clear elements on your cards. I also am sharing with you my favorite clear (acetate) products… I tested many! Acetate (or transparent/clear pieces) are fun to add to cards and allow you to get new looks from products you may already have. Today I share four techniques… and talk about my three favorite acetate products: Hero Arts Acetate Clear Cards, Hero Arts Acetate Sheets, and Judikins Embossable Window Plastic. I feel the best ink for stamping on acetate is Black Staz-On Ink. And the best part? If you mess up, you can completely erase the ink with an rubbing alcohol! (To clean Staz-On off of your stamps, I recommend Hero Arts Ultra Clean.) For my clear card, I stamped the “yay happy mail” sentiment from the Mama Elephant Scripty Birthday Stamp Set. To see how I assembled the card, be sure to watch the video! I used the fantastic Mama Elephant The Dog’s Woof Stamp Set. Isn’t it the cutest!? I started by stamping a flower and the word “lovely” from the Mama Elephant Pretty Lovely Stamp Set with Black Staz-On Ink on a Hero Arts Acetate Sheet. Once it was dry, I colored it with Copic Markers. (You can also use Sharpies.) The results? Looks like stained glass! I added the acetate piece behind a die cut window with foam adhesive. I like how it “floats” on the card. This is a great way to use acetate! It is also impressive to heat emboss on acetate. However, most acetates will warp significantly when heated. Therefore, I recommend the Judikins Embossable Window Plastic. 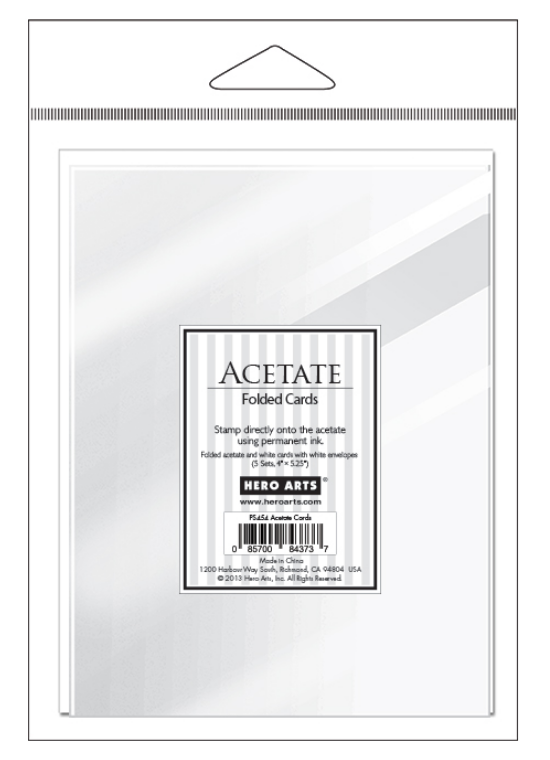 This acetate is heat resistant and great for heat embossing! I couldn’t share acetate ideas without making a shaker card! Inside the shaker window, I stamped and colored the cutie elephant from the Mama Elephant Fly With Me Stamp Set. I also white heat embossed “big hugs” on a piece of Judikins Embossable Window Plastic. After creating a unique window with a Lil Inker Designs Fringe Scalloped Rectangle Die, I formed the shaker card with lots of Lucy’s Cards Rainbow Bright Jewels inside. I *love* the look of the floating white sentiment! One of the most impressive cardmaking techniques I know of is using embossing folders on acetate. The folder creates texture on the acetate… and makes it white. I recommend using the thick-and-strong-and-high-quality Hero Arts Acetate Clear Cards. However, you can test it with any acetate you may have. For this card, I used the Tim Holtz Tiny Dots Embossing Folder to add texture to the front of a Hero Arts Acetate Clear Card. I added a cute little doggie made with the new Mama Elephant Dog Dies. This set can be used in many ways! Be sure to watch the video to see how I included a place to write a message on the inside. This card didn’t take long to make… I may need to make more. Want to find the products I used? I have listed them below. (Compensated affiliate links used at no cost to you. Thank you! 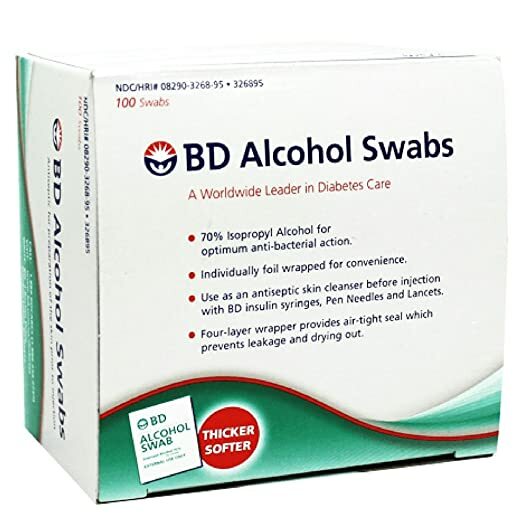 Affiliate and product disclosure can be found here. All products were personally purchased except those from Mama Elephant or with asterisk. As always, this post was NOT paid for or sponsored.) Click on the icons below each product picture to go to a favorite store. I really like the “Mama Elephant” dogs woof set. I love to send cards to a very special vet student. You make it look so simple! Your wonderful videos are always inspiring….and HELPFUL with all the details you put in. The cards are amazing! Such fun cards–thank you for all of the tips in your video! Anxiously awaiting on the video, these are awesome! Oooops, I didn’t see that is was posted earlier…. These are all so adorable Jennifer, I can’t wait to try some of them. Oh my goodness I love the “lovely” card with the flower, it does have a stained glass look to it. Thanks! These are all so cute and your tips for using acetate are great! I pinned each of these separately, hoping I’ll be able to attempt them someday soon. Playing with acetate looks like great fun! I love the shaker card idea with attaching gems higher up! Such fun ways to use acetate! I love coloring on acetate. Should try that sometime! Thanks for all the ideas. Are you kidding me?? I Love these cards. I just pinned about 10 things I want to buy from this video. I crazy about my little dog, Repo. He is often the center of my cards. I’m so glad you love dogs too!! You are always a bright spot in my week!! I am in bed with a cold and feeling better just watching you!! Thank you s much. Any misspellings or grammar errors can be traced back to my Niquil coma! Wow Jennifer!! I’m still trying to master cardstock greeting cards, but I am just amazed & grateful that you showed us how to do clear cards if we ever wish to!! I actually try to sometimes make special cards like this for a family members birthday & this is an excellent video to show me how to do a successful clear acetate card!! Thank You!! These are so fun! I love the clear cards. Really good information and I appreciate the tutorial explaining it all. Love your cards! Thanks for the tutorial on using acetate. I really like that you can heat emboss of special acetate. Can’t wait to try your techniques. I also love the way your shaker card turned out. Gluing some of the embellishments really does make the design look great always! Your so creative, I love all of your cards Jennifer!! I’m in love with your cards…I really like to use acetate and your examples are great!! Awesome cards! Love the look of using acetate….so neat and creative. Thank you for the inspiration. What adorable cards!!! Thanks for the tips and techniques! Love all your cards but the flower is stunning to me. Wonderful video, I especially enjoyed watching this one. I’ve never done embossing with acetate and would love to give that a try as well as that coloring on it. Thanks for the great inspiration. I watched your video this morning and I am in love with all of your cards! I’m a sucker for acetate cards and the one using the Dog’s Woof stamp set is simply adorable! Hi Jennifer – Glad you are feeling well enough to go to Creativation show. Could you please tell me how I can order my own stamp that will say “handmade by Cathy” like your stamp? Thank you. These are all such fun ideas with great results. I have one question: How do you avoid fingerprints? I’ve never used acetate that I didn’t end up with obvious fingerprints or smudges. It ruins the look for me. Thanks in advance for any tips. Such nice cards and really fun with the clear panels! That multiple dog card is too cute! The new dog items are adorable…and your cards are amazing! Love your ideas! I love watching your videos. You are so talented. God has given you a wonderful gift. Thank you so much for sharing. These cards are vibrant and beautiful. So cute! I’d never try this without your help, but I did my thanksgiving cards following your video on stained glass effects and they were awesome! I’ll try these techniques, too, now that I have a good supply of heat-resistant acetate. Thank you, thank you! I love all your work! You are so talented and make everything look so easy. And, please keep up the great videos showing your techniques. I’m going to try my hand on coloring on acetate. I do love a nice shaker card too, thanks again for all the ideas. You share so effortlessly and you certainly appear to life as you preach and that means so very much. My mom once told me that I may be the only bible someone reads. You examplify that to me. Thank you again. OMG! Acetate cards! Such a fun idea!! Love it! !